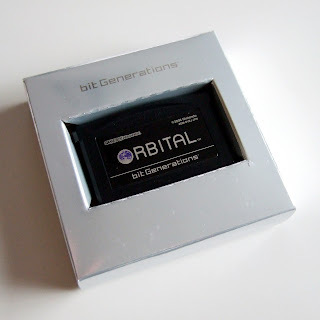 What you see in the photo below is one of seven games that were released as part of Nintendo's bit Generations series for the GameBoy Advance. 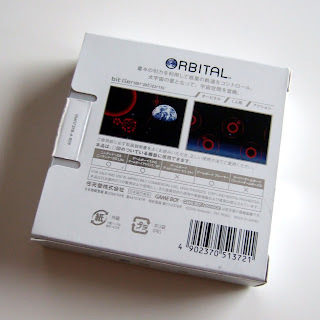 Although I'd love to own each of these bite-sized Q-Games- and Skip, Ltd.-made titles at some point, I decided to start with Orbital because I've thoroughly enjoyed the time I've spent with its WiiWare counterpart thus far. 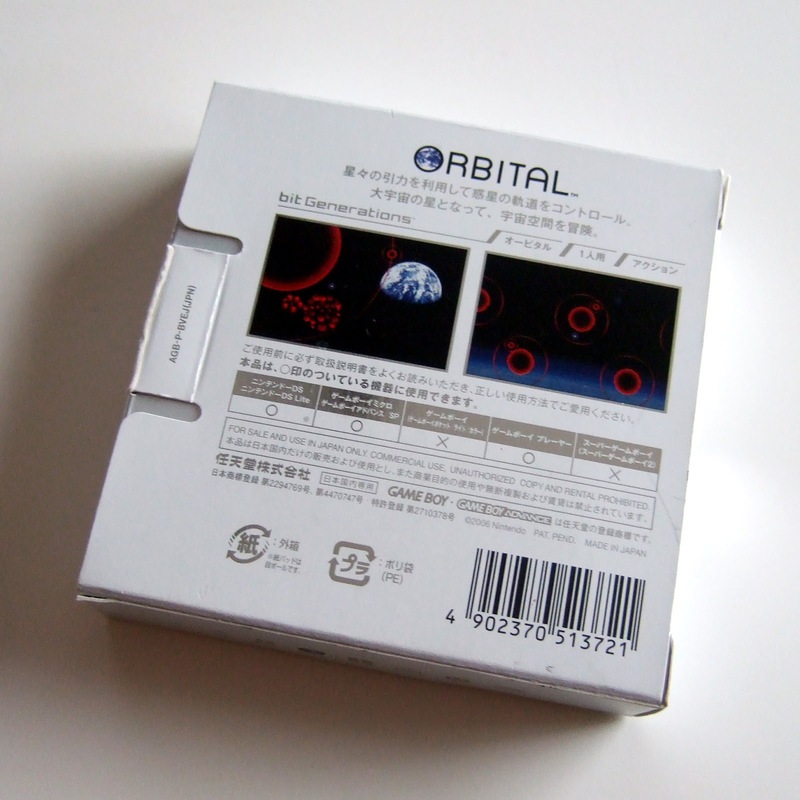 I should note that I'd been warned before I bought the copy of Orbital seen above that gameplay found in the original version is often considered to be a bit less accessible than what's included in the follow-up. Unfortunately, I can't yet support or refute that claim because, well, I've only booted up this Orbital cart (using my hot pink GameBoy Micro) long enough for me to know it's in good working order. I promise to give it the attention it's due soon. In the meantime, consider picking up Orbient (and Cubello, if you've got the dough) via the Wii's (or the Wii U's) online shop if you're at all interested in captivatingly unique digital games. Hey Bryan, do you know anyone who has an Ingress invite/key left? I try to get one for such a long time but nothing happens. That probably doesn't make much sense either, though, does it? Basically, each stage is like its own galaxy, and the white star that the player controls moves through it. As you approach a planet, you hit one of the GBA's buttons to get closer to it while the other button pushes you away. You do this because you want to absorb each planet's stars (you have to absorb a certain number of them to move on to the next stage/galaxy). It's more exciting that it sounds, BTW--or at least I think it is. I spent a good amount of time with the WiiWare version, and I really liked what I played of it. 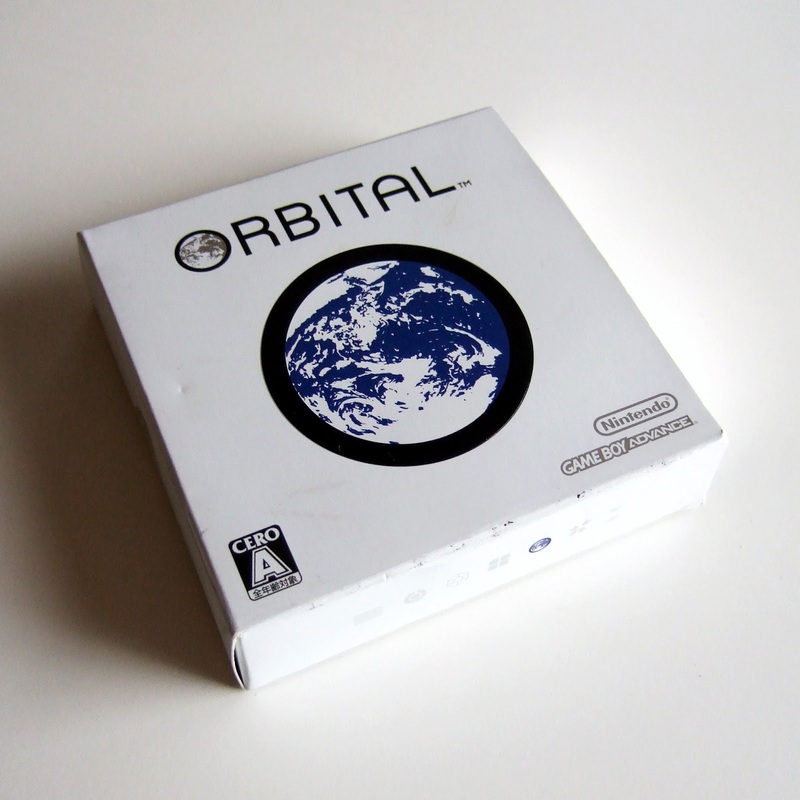 "I should note that I'd been warned before I bought the copy of Orbital seen above that gameplay found in the original version is often considered to be a bit less accessible than what's included in the follow-up." i'll look forward to your impressions of the game proper whenever you do get some time for it. definitely plug your headphones in for this, although that's advice across the board for bit generations. Yeah, that's probably a good idea. I'm willing to bet the video will be boring, though! Ah, you should read a bit more about the bit generations series, too, Simon, as it's actually pretty interesting--as is the 'art style' series, which is pretty similar.